Running recap, and : Still learning from my mistakes… | Get Going, Get Running! ← Run with an Idea : Are sports nutrition products a waste of money? 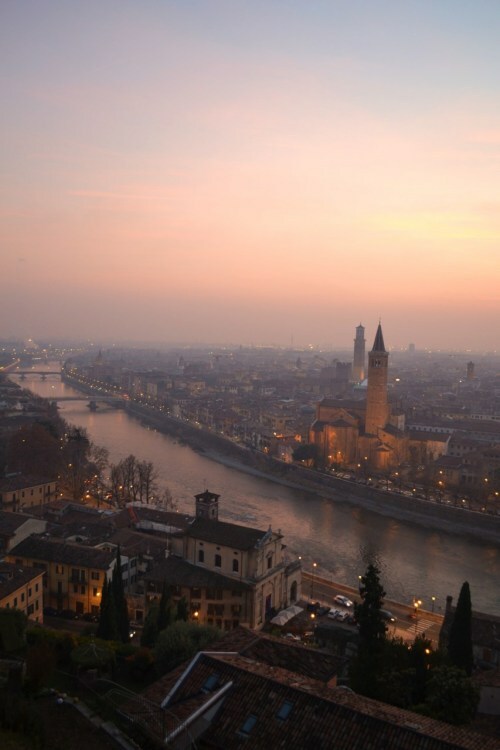 This time I was in Verona for work, and I decided that I would run up from the town centre where we were staying to the Santuario Madonna di Lourdes overlooking the town. When I got up at 06:00 I knew it was going to be a tough run. A long day the previous day, a longer dinner and (at least) one too many grappas meant I was not feeling my freshest. Off I ran jogged trotted to the bottom of the hill where I had to walk almost immediately due to the steepness and my poor condition. Some half hour of walk-run-walk later I got the top – to find the Santuario gated and locked. Back home to London and this weekend’s running was much more productive. Saturday morning was my second Parkrun, and I wore my new ASICS FujiElite trail shoes. These have been kindly provided by ASICS UK for me to test, so I figured I’d try them out in a race scenario as well as seeing what they felt like on a combined pavement/woodland trail/gravel surface. Mental note #4: Road shoes made for high mileage are not good in the mud, or ice. Wear the right gear for the weather/terrain! Sunday’s run was a LSD trail run (that’s long-slow-distance, not eating magic mushrooms along the trail). I live about a mile from one trail head and one-and-a-half miles from another, but decided to loop them both together by adding a short road section from the finish of the first to the other. Being predominantly trail, and seriously wet and muddy, I wore the ASICS FujiElite again. They are technically designed as a race shoe, but I figured I’d try them out for a longer run to see how they coped over bigger mileage. To be honest, the shoes performed well. It was me who didn’t, not to begin with anyway. Being a racing last the shoes are a tight fit, but I made the rookie mistake of lacing up as if for a short run *and* wearing thick socks. Dumb! Unsurprisingly, my right foot became sore from where the narrow last was compressing my arch. A pitstop on the side of the trail to loosen my laces and give my arch a massage was required, but after that I had no complaints and was able to get out the next 10+ miles without any issue. Next time I’ll wear my thin wicking socks and lace-up for a long run, looser lacing over the mid-foot for comfortable feet in the latter stages. Mental note #5: having the correct gear is only useful if you use it the right way. Looking forwards it’s Silverstone half marathon in three weeks and Paris marathon in eight weeks. Gulp! Posted on February 10, 2014, in Blog, Running Shoes and tagged ASICS FujiElite trail, hampstead heath parkrun, parkrun, trail running. Bookmark the permalink. 9 Comments. I am also taking Mental Note #1 to heart lately and am trying to get back into a daily yoga routine. It really does make such a huge difference in the way I feel when I stay stretched out and limber (ie I feel much older without it)! Daily yoga would definitely get you limber! I only go once a week but can see the difference, especially with my hip flexors. It’s a great place, and I’m pretty lucky to go there so often, even if only for a day or two, and for work. So many great moments in this post! Thanks! It has been a good two weeks. Except the hangover run. That was forgettable! Don’t you love challenges! As long as we keep learning, all will improve! Thanks Bernie. Great post! My new found love for trails is opening another doorway though. There could be a 50k trail race in the offing. Now that sounds like a challenge!